Right now, Netflix is in the midst of delivering some truly stunning animated TV shows, including The Dragon Prince. With the hugely popular series already renewed for a second season, we caught up with composer Frederik Weidmann to discuss his musical work on The Dragon Prince, plus his work on a slew of genre favourites featuring the likes of Batman, Superman, Green Lantern, Aquaman, and so many more. STARBURST: When did it first hit you that music could be your career? Frederik Wiedmann: It’s interesting. That started very early. I’ve had this one career desire since I was a teenager. There was nothing else I really wanted to do. The trigger for me was, I was 12-years-old and watching Dances with Wolves. Hearing that amazing John Barry score, I fell in love with it on the spot. That was the first soundtrack that I had. That played on repeat in my room for the next couple of years, and then I slowly increased my film score collection. That’s really when I realised that this is a profession and people do this for a living, and that there’s soundtracks to movies that you can buy. I think the next pivotal step for me was to meet a friend of mine through an ex-girlfriend of mine at the time. He lived in Augsburg, Germany – where I lived – and he was a film composer, a working guy who did a lot of work for TV, for a bunch of German shows. To me, that was eye-opening. I walked into his studio and I was just, “Oh my god! This is what I need to do.” Already being a film music nerd and having done some mild composing myself, practicing violin and guitar, and a little piano, that was the moment where I went, “I can’t believe this is actually something people can do. This is something I have to do.” Since then, it’s been pretty much a straight shot to where I am today. Back then, there were not that many colleges that offered film music or film composition as a specific major – so Berklee College of Music was one of the only options back then, in Boston, so that’s where I went. I finished my Batchelors and went straight to Los Angeles to work. I really never have wanted to do anything else. I wanted to be a composer. 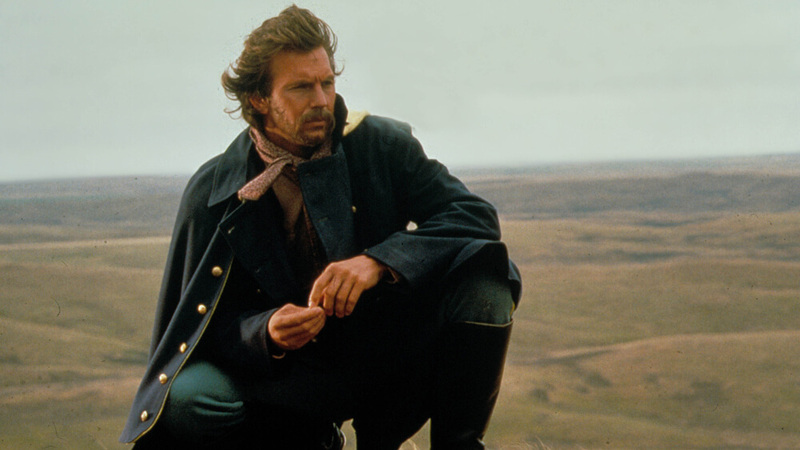 When you became obsessed with the Dances with Wolves score, had you already begun to play instruments or is that what gave you a kickstart to delve more into music? I started playing violin when I was six, so I’ve always been involved with instruments from an early age. I was never the virtuoso wunderkind genius by any stretch of the imagination, but I enjoyed playing. When I was fourteen, I switched over to guitar. Being a cool teenager, a violin wasn’t something I wanted to carry around. That’s what I wanted to do, and my parents were completely open to that. The good part was that the teacher they chose for me was a jazz guitar teacher, not rock or fusion or anything like that. He was very deep into the jazz world. There’s something about jazz. There’s a huge world of music theory involved with learning how to be a good jazz guitarist. And he sort of cracked that with me, he started to talk about that, and that’s when I really dove into music theory and composition, the more theoretical aspects. It was a combination of already knowing about music and, having played music for my entire childhood, loving music itself. Moving into that world through my guitar teacher, and then meeting my friend, it all just kind of came together to this one thing that I completely fell in love with. Do you feel that a wider audience has, not necessarily a new appreciation, but found a renewed appreciation for scoring work in recent years? It’s funny, there’s two sides to this. I completely agree with you that there is a huge interest for this kind of music, which is, to me, a great gateway into the classical world that a lot of people may not necessarily want to dive in to. But once they start to love film music, it’s a natural next step to explore something else from that literature. I think it’s a really nice thing for them to explore that side of music. The concerts that they’re pulling off these days, and concerts that are massively packed and sold out over the world from all of these video games, it’s incredible to witness that, to see that there is a big interest of people to go and see this stuff performed. I think there’s a big interest in that, but the other side of the coin is that, ironically, soundtrack sales have gone down dramatically over the past ten years. You kind of wonder why that is. I don’t know if piracy has something to contribute to that. It’s certainly exciting to see that people like film music, people go to concerts, people talk about it. Young kids did a rock version of my Green Lantern theme, which I was a huge fan of seeing that online. Somebody did a six-minute mash-up of themes, going back and forth before The Dragon Prince and Avatar: The Last Airbender. It was amazing! The amount of time this person spent doing that, it was great. I even commented on that video. How did your involvement on The Dragon Prince come about, then? Through a friend. 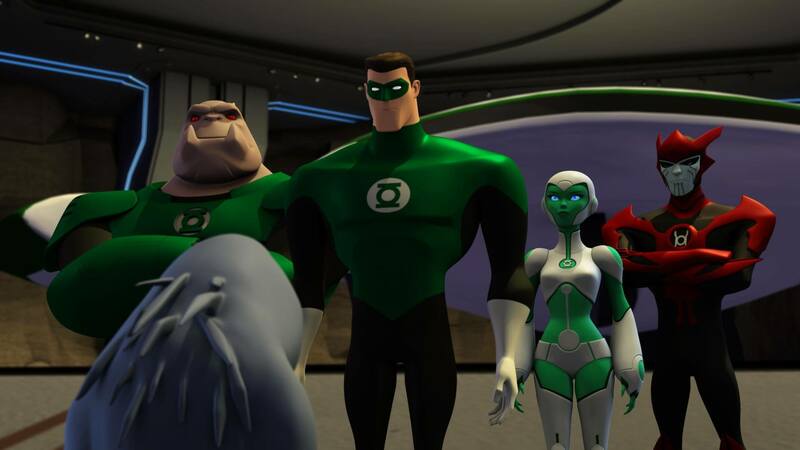 The first animated show that I did – that really started this career – is Green Lantern: The Animated Series with Bruce Timm. Getting that job was just an incredible first step into this world. One of the leading creative co-producers, Giancarlo Volpe, was working on that with me. Him and I got very close because we talked about the music a lot. He ended up moving on to The Dragon Prince and put my hat in the ring, so to speak. There was a big process of playing some music, demoing some of the scenes – the usual process on how you’d get hired on a show like this – and eventually they decided I was the right person to score it. Interestingly on this project, since Giancarlo introduced me early on to the team, we had a lot of time for a whole lot of exploration with instruments, dramatic material, and so forth. I wrote a large amount of music prior to scoring a single scene of the show, just to conceptualise what I was to do. It was very nice to do that, to have the time and to have the breathing to go into a world and decide on things. Once we got to episode one, things were already established, people know the themes that we’ve come up with, so when you end up using them in certain places it becomes so much more impactful and the creative team are already familiar with it. It’s like a puzzle that comes together really quickly. When tackling something like The Dragon Prince, is there a worry in your mind about trying to keep this completely fresh and original to what you’ve done on other shows previously? Oh, absolutely. In this case, Dragon Prince is a very inviting canvas for me because it is a completely made-up fantasy world. Even though the DC and Marvel universes are also made up – there is no Gotham City, there is no Metropolis – at least there is something familiar to those words that feels like it could be happening in the present day in America. 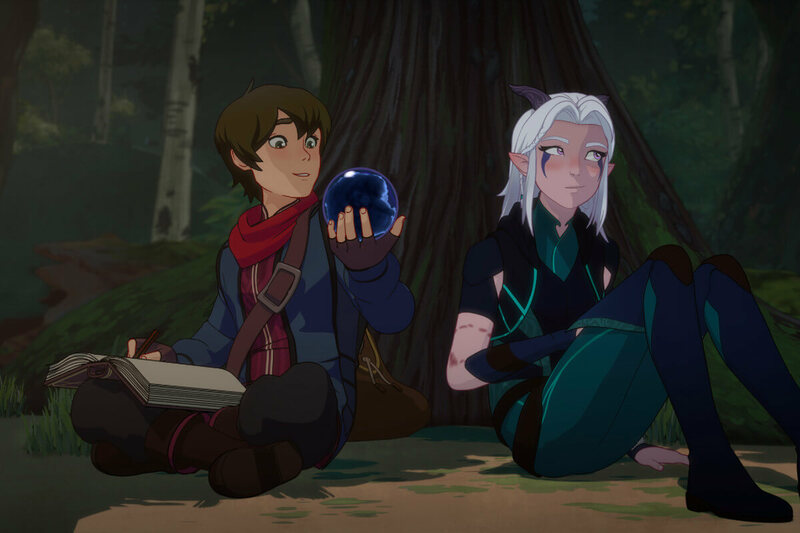 In Dragon Prince, you’re more in a Lord of the Rings type of environment where everything is new; all the names are new, the races are new, the languages are new. It’s this entirely new thing that now invites me musically to go in a completely different direction to the DC animated stuff. On top of that, a very good component of The Dragon Prince, which is sort of there in a lot of the DC movies, is a very strong emotional character development of the key characters that slowly progress from episode to episode. Being able to build this character arc from the first episode to the last is a very challenging but also great place for a composer to start dialling the certain key elements of the music that, when reoccurring, gives you the goosebumps, makes you feel more for the character. There’s an emotional difference, and also the world is just an entirely different world. We also needed to go heavily into exploring some soloistic instruments that were becoming a key part of the score. In our case, there is a lot of ethnic flutes that I don’t even know the names of. There’s a wonderful player here in LA who has hundreds of them – “How about this one? This one’s from Peru. This one’s from Brazil. This one’s from Nicaragua.” We’re just coming up with something a little unorthodox where you go, “Oh, I kind of know what this is, but I can’t pinpoint a region or country.” That was the idea. With The Dragon Prince being in-tune with Lord of the Rings, did you go back and listen to any of the Howard Shore scores as an inspiration, or did you just go with your own instinct on this? That’s exactly what happened. All I had to go on was conversations with the creative time and the beautiful concept art of the characters and the cities and the landscapes and the dragons. Really, all I had was these beautiful, very low rendered images. No videos, nothing was moving, just stills. There was a conversation about where the story was going. It emerged out of that. Whatever creatively that they had to go on visually that I could use as a reference, that was the starting point. Would you agree that music is just as important as the visuals in terms of setting the tone of a movie or TV show? I sort of agree with that, but at the same time I’m always coming in from the perspective of the filmmaker; as in, all I’m trying to do is tell the story that the filmmaker or whoever is in charge is trying to tell. In the end, that’s the most important thing; you have to make a movie, you’re not writing a tome poem or a concert piece of any sort that you want to draw too much attention to. What I’m really trying to do when I’m working on a project is how can I compliment the story and the mood and the images so that it elevates the experience. Ideally, you don’t want people coming out of a movie and the first thing they talk about is the music. My goal is for them to come out and say, “I saw a great movie, I was really moved by this film.” To me that’s a much bigger compliment. That’s at least my perspective. I really need to focus entirely on telling the story that needs to be told. If something gets stuck with the audience – they hum a theme when they walk out – that’s great. Ultimately, my goal is to make the film as good as it possibly can be and have the audience acknowledge that a lot more than the score itself. I have a fair amount of problems when I read the reviews of film music. There is so much of an evaluation on the music itself, and not enough on examining how did it work in the movie. I wish film music reviewers would be more like, “The score worked well in the movie, it did this in the movie. When I finished, I felt this and this and this” as opposed to, “It didn’t have any themes, it was boring.” All film music really needs to do is tell the story of the movie and make the movie better. Sometimes a score may be really effective and perfect for a film, but we’re not trying to write a great listening experience for a soundtrack. If that accidentally happens, great. First and foremost, it’s whether the score worked for the movie. If so, you praise that. If it made the movie exactly what it needed to be, to me that’s winning the game. Do you feel that some of those who are in the infancy of their careers can at times have a tendency to lose sight that they are part of a larger project and that the music shouldn’t necessarily overpower the end the product? I think there’s a lot of that going on. I meet a lot of young film composers that reach out to me online. I did bit of teaching at USC for a couple of years, and I know that there is definitely a big resistance to feedback. They’re like, “No, my music is great. What are you talking about?” What a lot of people need to learn is how do you take feedback and how do you understand that what you’re doing is you’re employed to work for somebody and to realise somebody else’s vision – not your own! It’s very important as a film composer to know your place and to really focus on that; how do you get the vision of your employer realised in the best possible way. A lot of people fail to see that. In your career so far, is there a particular emotion or feeling that you’ve found trickiest to convey? No, there’s really nothing like that. 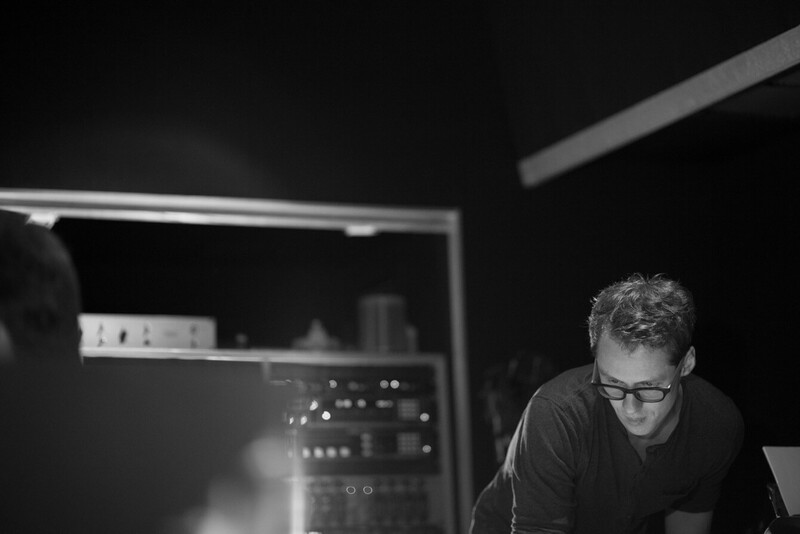 There were a few things that used to intimidate me, like when I was working on All Hail King Julien for Netflix, the other animated show from DreamWorks, they asked me to write songs, which is something I’m not necessarily experienced in as much as score. That was a little bit daunting, but I ended up winning my first Emmy for the song. So I’m at a point where that doesn’t scare me anymore, I feel that I can pull it off. It was funny how that worked out. I think the most difficult thing for most composers is always comedy. You’re relying on so many aspects of the joke, the performance, the setting, the way it’s edited, the entire vibe of the show or the movie. How do you play comedy? Often, comedy is perfect dry with no music. You need to help it, but what do you accentuate? Do you create a mood, do you accentuate a certain punchline, do you need to start the music at a very specific place? Comedy is the thing that can be created in so many different ways, and a big factor is also taste; how do you want to treat comedy? I think it’s always the most complex nut to crack in a movie. Not necessarily children’s comedy for animation – that’s easier because you know what kids need – but when you get the more sophisticated adult comedic material, then it becomes a very tricky thing. It requires a lot of patience and understanding of how jokes work in movies to really nail that moment and make it as funny as it can be. Is there a difference in your approach at all to live-action and animated projects? There is a difference. Ultimately, I’m trying to establish the same thing with both. The story, that’s ultimately my goal and the first thing on my mind. In terms of the technical approach, the big thing that I’ve encountered over the past couple of years is that in animation I never have temp music. Temp music is existing music from other scores that the editor uses as a placeholder for previews to show it to directors, etc, to give an idea of what the movie will play like. Often, that’s a good jumping off point for composers to discuss what works and what doesn’t; it sort of gives you a roadmap of where to go. In animation, there never is such a thing. I’m basically just given the material completely dry. Most of the time it doesn’t even have sound effects. I don’t hear any footsteps, I don’t hear breathing, I don’t hear coffee mugs hitting the table and doors closing. That’s all gone. All I’m hearing is bone-dry ADR, and sometimes even unfinished animation. The state that I receive the material to work on is vastly different from a live-action movie, which has fully rendered sound, good performances, finished editing, and sound effects and a temp score. I think my brain has to be set in a different mode when approaching animation, because there’s so much that I need to imagine on how the story should be when it’s finished versus actually seeing it. It’s an interesting thing to realise in the beginning when you’re not very experienced; you tend to over-score things in animation because nothing’s there. It requires a lot of experience and knowledge of how things will end up in the end. Based on that, you can make good decisions on what to do with the music. Bruce Timm brought you in for Green Lantern: The Animated Series, and you then went on to work on plentiful animated comic book movies and show. Were you a fan of comic books, or was that just a great opportunity that came along? I knew a lot about the DC universe, and I read a bunch of comics when I was growing up. I wouldn’t necessarily call me a big fan or a fanboy that knows everything, but there was certainly a big love for superhero material in general – especially from a composer perspective. If you ask any film composer, they’d say that their big dream is to score a huge Spider-Man movie or some other superhero film. For me, it was definitely on my bucket list, to be working on superhero material, but I wouldn’t necessarily call me a big fan to begin with. In Germany, especially where I grew up, it’s not as big as it is here [in the United States]. I grew up reading Lucky Luke, Asterix and Obelix, and Tintin. Those kind of comics were way more popular in comic book stores than Batman. Across the DC realm, there are so many different characters and different locations. For instance, you have Green Lantern up in the stars, whilst Aquaman is fighting the good fight in the depths of Atlantis, and then there are Elseworlds tales such as Gotham by Gaslight. Is there a favourite corner of that world that you prefer to work in? No, not really. I really enjoy working in all of those places. They’re such a wonderful treat to be working on, to be honest. It’s my favourite thing to do. The filmmakers are so nice, they appreciate music so much, and it’s just this wonderful working environment Warner Brothers creates for me to do what I do. All of these are amazingly fun to work on. It’s always exciting when there is a project coming along that steps out of the norm. Not that it’s more enjoyable than the others, but it’s a nice little challenge thrown at you. Working on a movie like Gotham by Gaslight, where you’re suddenly working in an era where Batman doesn’t have his tools as it’s around the turn of the century, it’s a steampunk era, there’s no cars, people don’t have guns. It’s a whole different environment in a standalone universe that you’re trying to create. So it’s always a nice challenge to figure out a way to blend in the Batman material score to a world like this. This was similar to Gods and Monsters, another DC movie that I did a couple of years back. The whole backstory of the heroes is twisted and unusual, so that also was an invitation to do something slightly different. Long story short, they’re all amazing projects to work on, I thoroughly enjoy them, and when there’s occasional standalone projects that need a different approach, that’s always a nice little challenge for me. You mentioned live-action superhero movies earlier, so is that the ultimate dream project for you, or is there something else out there? I would love to score a movie like Legends of the Fall. Just a big, sweeping orchestral, dramatic, a big family story, beautiful cinematic landscapes. That would be very exciting for me. That’s one of my all-time favourite scores anyway, by James Horner, and I think I would completely enjoy it. 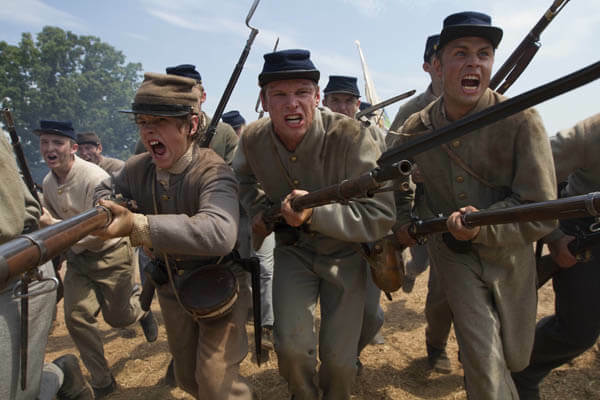 I had a little bit of a taste of that when I was working on Field of Lost Shoes, the civil war movie a couple of years back. That was a nice project because we got to do something a little along those lines. It was a small version of that, but certainly something like that would be an amazing thing for me to work on. Having been in the industry for over a decade now, how is it to have that seniority now where people come you to head up projects? It’s amazing. I never would have dreamed that I would be doing that at this point in my career, at my age, at 37. It’s just amazing what’s been happening. I’m incredibly grateful for the people who have provided me with all of these opportunities over the years; the great filmmakers that keep coming back to me for more. It’s an amazing feeling. I just love the work. I’ve been very blessed with a great variety of work, too. There was a time early on in my career where I thought I might get pigeonholed to becoming a horror composure, as there was a lot of that going on for me. I love working on horror and I love watching horror movies, but it was not something I wanted to do exclusively. It’s very nice to see that I’ve drifted off of that path. Now I have this whole superhero world, I have the fantasy world from Dragon Prince, I’m working on great thrillers for other friends, a great Al Pacino movie called Hangman, some action projects, a comedy show for German television. It’s all very different the things I get to do, and I’m extremely grateful for that. I need that variety in my life. In the horror genre particularly, it seems to be extremely easy to get pigeonholed. It’s sad. I know there’s a lot of people that this has happened to, and I know what they’re capable of. It’s a challenge for them, because once you’re in that world it’s very hard for people to look at you differently. But you know what, this guy can do something else. I’ve always wanted to be a composure that is a filmmaker, not just a horror composer or an action composer. I want people to look at me and say I’m a filmmaker, that I’ll work on your project. So far that’s worked out, and I hope I can keep that going. How was it for you making the move from Germany to the United States back then? Was there work already lined up, or was it more a case of just taking a chance and trying to find work? Since I’ve wanted to do this one job for so long, Los Angeles has always been my target city to work in. It worked out that I got accepted to Berklee College of Music in Boston. I’d actually lived for England previously for a year, in Bristol, because I needed to learn more English. I worked with disabled children for a year as part of my studies. I needed to just be a better English speaker in order to succeed in college in America. Moving to Los Angeles, the thing that really helped me was that I met my now-wife back at Berklee and we moved to Los Angeles together. We were always dealing with the hardship of starting over in a new town, in a new country together as a couple. I think that makes it a whole lot more enjoyable than dealing with it by yourself. Needless to say, it was very difficult and very hard to get a foot in the door anywhere here in this town. It is so incredibly competitive with so many young people trying to do the same thing as you. Then there’s the hurdle of visas and not being a citizen and not having proper credit lines because you’re from another country. It’s a challenge on many, many levels. Luckily, being with my partner certainly made things a lot easier to cope with. And also, Berklee College of Music lent me an enormous amount of support once I came out to Los Angeles; to help me get connected with filmmakers and other composers that I could assist for the time being. That’s an asset that many people don’t have. Without that, it would’ve been very difficult for me to get started anywhere, I think. So I can give Berklee College of Music great praise for helping me to jumpstart this thing that I have going on now. You mentioned about an upcoming German comedy show, so what else have you got in the pipeline that you can tell us about at this stage? Sometimes it’s tricky because of non-disclosures and because things aren’t really announced yet, but I am working on the new Doom movie for Universal. I don’t know when it’s coming out, but we’re actually in the middle of it and it’s coming out great. So if you’re in to that video game, you’ll hopefully like that movie. The German show is for a channel called RTL. It’s about a woman who works as a police psychiatrist helping to solve cases. There’s a big dramatic component to it, but also a nice light-hearted feeling to it. It’s a nice show for primetime TV, it’s good entertainment. The Dragon Prince’s first season is now on Netflix, and you can keep up to date with Frederik’s work and upcoming projects via Facebook, Twitter, Instagram or www.frederickwiedmann.com.